We’ve already discussed the importance of adding ‘more’ to your brand or business – it’s set to be a huge trend for 2019 – but beyond being just a trend, what does it mean to attach a purpose to your brand? And what’s the difference between cause-led marketing and being a purpose-led brand? We joined the diverse and vibrant panel of successful creative entrepreneurs at Top Drawer 2019, to hear about what purpose really means for their brand, taking action beyond the values and mission statements, sharing ways to make change within your own brand and what it takes to inspire customer loyalty in 2019. These two terms can be used interchangeably, but there’s a fundamental difference in the ways in which you use your brand for purpose. A purpose-led brand is one which was started with a cause in mind – it’s profits (either all of them, or a portion of them) are donated to a cause or charity. From Babies with Love is a non-profit brand that creates organic baby clothes and donates their profits to children around the world – every penny of it. This is an example of a brand with a PURPOSE. We also heard from speakers Evan Lewis and Laura Jane, of VENT for Change and Design Giving, respectively. VENT for Change was started off the back of another company – the business started off by selling pencils, made from recycled CDs. When they found they were creating way more pencils than they need, they decided to do some good with the excess, and so, they started to give them away. After reading about the widely reported stories of children struggling to get an education, and not having the basic necessities to build an education, VENT for change realised that a simple pencil could make all the difference. And from here, other initiatives were born, like ‘Share a Pencil Day’ – which is a UK initiative started by VENT for change that aims to educate children here in the UK. 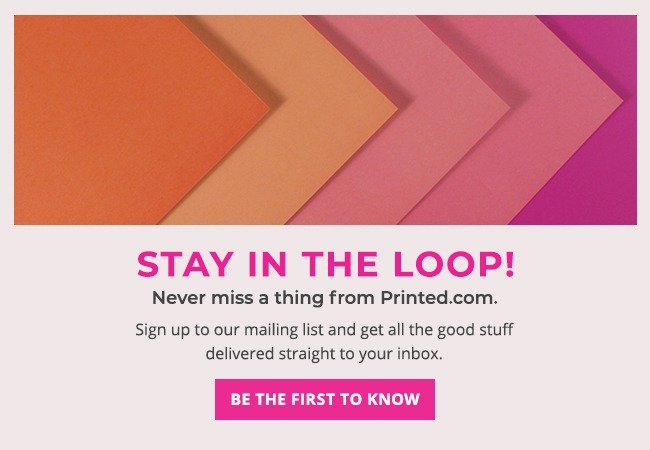 Design Giving is a brand-new print publication that supports independent designers and makers and celebrating ethically and sustainable products. Cause related marketing is usually an initiative set up by marketing departments of established brands – it involves attaching a cause to a marketing campaign, and although it often does good and can be a great way to raise awareness and money for a cause, it’s also a way to open up an avenue for storytelling and content. If you’re thinking of undertaking some cause-related marketing, you need to ensure you’re showing the benefits of what you’re doing and remain authentic. Choose a cause close to your heart, or closely aligned with your business and ensure you’re open and clear about how much you’re donating and your reasons. What is driving the growth of the purpose-led brand? Purpose-led brands and cause-related marketing is cropping up everywhere, but what’s driving it? 2018 was a transformative year and 2019 looks to be much of the same. There is a cultural and social shift going on as consumers become more aware, and it’s this consumer driven awareness that’s driving shopping behaviour. The power of consumer buying can change the landscape and individuals want to make a change and want to do good. The more that consumers think and act on these behaviours, the more need there will be for purpose-led brands. Consumers want to choose what to buy and the demand comes from the consumers who don’t want the pre-packaged products that are forced upon us. Consumers also LOVE the story behind the product, when it comes from a purpose-led brand. Purpose-led brands drive a feeling in consumers and they love to feel associated with a brand that’s actively doing good. Consumers are asking ‘what else?’ when it comes to buying. Purpose-led brands are helping consumers to participate in driving change with their purchases. This is where cause-related marketing and purpose-led brands differ, and where purpose-led brands have the upper edge. Corporate large-scale companies are participating in purpose led campaigns, but at the end of the day they are still a huge multi-national company, and this is the very thing that consumers are fighting back against. 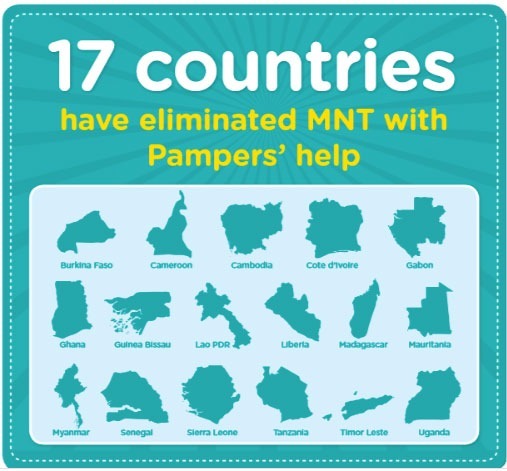 Pampers is good example of a brand that undertakes cause-led marketing – and it does this frequently. Their most recognisable campaign is perhaps the ‘one for one’ campaign, in which for each pack of pampers sold, the company donated one vaccine to UNICEF’s campaign to combat tetanus and protect mothers and newborn babies in poor countries. If you’re considering becoming a purpose-led brand, there are a few things you need to think about. Once you’ve decided your cause you need to know exactly WHAT and HOW MUCH you’ll be donating. Is it a percentage of your net sales? Is it 100% of your profits? Is It based in your NET sales? Overall, the driving factor behind purpose-led brands is in the giving back, so this has to be at your core. 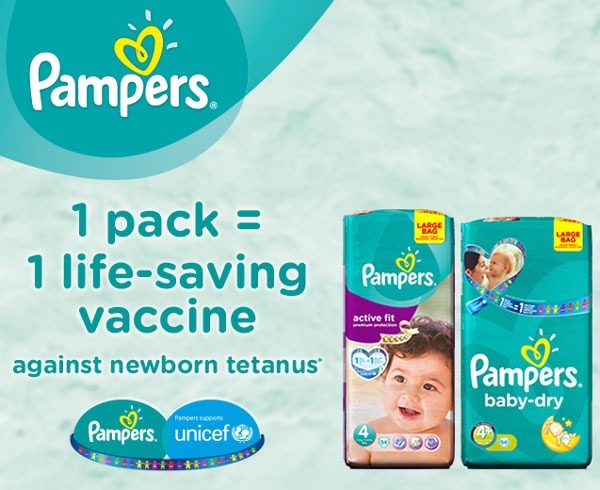 Pampers created content, like the info shot above, to share across their social media channels and embed onto their website, offering an easily consumable way for people to digest the information and share it themselves. Sure, in an ideal world, we’d all donate all of our profits to charity and the world would be an awesome place. But, the truth of the matter is that it’s difficult as a small business to make ends meet as it is, without writing off a huge chunk of profits to give to a cause. Platforms like Kickstarter can be a great place to start. 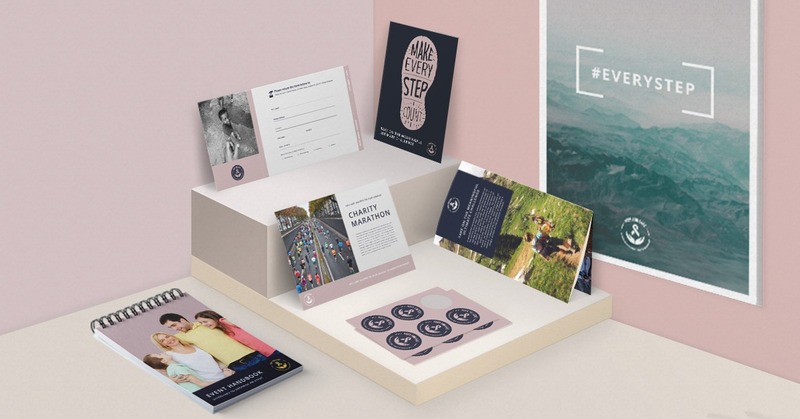 If you create a product, say, Greeting Cards, you could create a Kickstarter campaign to raise the necessary funds needed to create a new collection, with all the profits donated to charity. A campaign like this gives you the freedom to get started while also helps you build an audience off the bat. It’s a win-win. Laura Jane, Founder at Design Giving told the audience that one of the most unexpected elements of being a purpose-led brand is seeing people/customers share the product because it feels like they’ve done good. Being purpose led lends itself to organic sharing. People will use their brand to cement their own values. Sharing the fact that they’ve bought a purpose-led product helps them show off their own values. What’s the future for purpose led brands? Brands like TOMS have set the benchmark for purpose-led brands. They’ve proved that you CAN make a profit and be purposeful. 2019 will be a huge driver in changing the mind set of businesses. As more and more purpose-led brands appear, business must be inspired by others and grow with them. It’s time to welcome the competition – as it encourages more good. There are huge opportunities in this collaborative space and the demand is good thing as its driving more change in the world. If you’re thinking about getting set up as a purpose-led brand we’d love to hear your thoughts! Head on over to Instagram, Facebook or Twitter to get the conversation started with us! Oh and if you’re already playing in the purpose-led space, show us what you’re up to by tagging us using #ProudlyPrinted. For more tips, advice and insights, don’t forget to follow us!